1. Is your eBay item local pickup only? eBay has become so popular that some people make a living just buying and reselling on such a huge marketplace. We all know you can buy and sell nearly anything on the massive online auction site, but sometimes the dreaded “pick up only” can put you off buying your desired item and organising delivery yourself can make you think twice about selling your unwanted goods online. At any one time there can be nearly 1,000,000 pick up only listings on eBay, the sellers’ unwillingness to arrange eBay couriers can put off potential buyers who do not live close to the auction, or lack the transport to go and pick up the item. If you find an auction that you want to quote on but are put off because it is listed as pick up only, there is another option! Arranging eBay couriers can be a cheaper and more convenient option than picking up the item yourself. What’s more, if you don’t own a car most collection only auctions would be out of the picture anyway. Delivery drivers can often be cheaper than the price of fuel you’d use getting your item and driving back; finding a courier that’s already travelling a route between the auction and you can further reduce the cost of your delivery. Whatever you’re quoting on, there are a couple of things you can do to make sure you find the best deal on your items before you even need them transported. 1. Quote as late as possible: Quoting early will only make the price climb higher, so leave it late. Be careful about quoting at the minimum increase though, because many other people might be watching the same item. 2. Use third party programmes: These can involve auto-quoter's or search functions that help you find a bargain. Be wary of scams though; make sure you do your research first. 3. Pay via PayPal: This will help your buyer protection; sellers who ask for money orders should be avoided. 4. Make sure it’s the real deal: Whilst difficult to tell if items are fake from pictures, you can try making sure that the seller isn’t trying to sell you something completely different such as an Xbox’s box! You can post items to the eBay board to get an independent opinion. 5. Check the going rate: By looking at “completed” auctions you can get a better idea of what you can expect to pay for your item. Depending on what item you need delivered your transportation requirements can vary vastly. If you’re buying small items you can use a standard courier service but getting a car delivered is going to take something more substantial than a man with a van. Types of delivery service: . 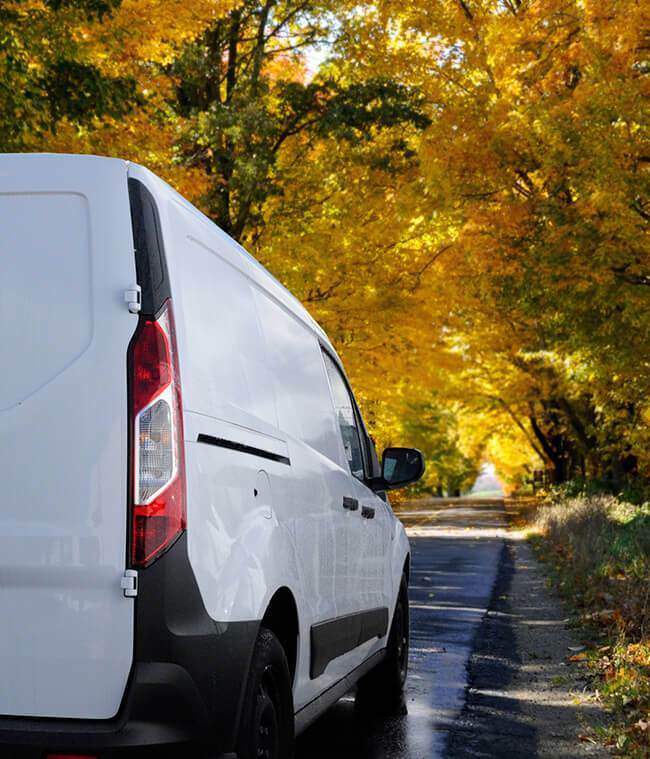 Man and van: Probably the most popular type of courier, man and van service is suitable for most basic deliveries, however they tend to only deliver medium to large items such as furniture and bicycles. Things like books or DVDs only require a parcel service. Vehicle Transport: Buying second hand cars and bikes online is becoming more popular. Getting a vehicle delivered will require a specialist haulier or trade plate driver, please see our individual vehicle transport pages for more info on types of vehicle couriers. Fragile items, jewellery and antiques: Transporting delicate items can be risky, therefore it is recommended to choose from couriers who have experience transporting fragile goods. Regardless of what you need transported you need to find out the credentials of the courier before you hire them. Different speciality transporters have different certifications, make sure you contact the courier company first to find out if they’re properly qualified to transport your item. Listing your delivery on Shiply will give you the chance to receive delivery quotes from thousands of feedback-rated couriers. Transporters will compete to give you the best offer; you can then compare different couriers based on their quote, feedback score and reviews they have received from other Shiply users. To get the best quotes it’s important to list your item with as many details as possible. To import your eBay item to Shiply all you need to know is the auction ID– we’ll do the rest of the technical stuff. Your listing will have full addresses and we’ll even automatically insert pictures and descriptions from the eBay listing. Try to be movable with delivery dates, as many couriers don’t make specific trips but are picking up items on pre-existing routes. A flexible timeframe will attract the best delivery quotes. When you’re happy with a courier’s quote you just need to accept and notify the seller that a third party will be collecting the item. When you’ve finalised the delivery, won the auction and everything’s ready to go you need to make a few final preparations. Get the seller to document the condition of the item prior to collection as this will help you to notice if the goods are damaged at all in transit. If you’ve been flexible with delivery dates keep in contact with the driver to make sure that you or another person is in to accept the item. Once you’ve received your delivery be sure to leave feedback on Shiply for the courier that transported it for you. Reviews help other users to compare couriers on Shiply and lets the drivers know how to improve their own service.